He was the man behind some of the most popular teams in San Francisco 49’ers history. A soft-spoken coach whose game plans and attention to detail was the signature of some great teams that played by the Bay. He is Bill Walsh, a coach whose legacy has been passed on through coaches to this very day. On Monday, Walsh died at his Woodside home Monday morning following a long battle with leukemia. He was 75. A source said Walsh’s family was at his side shortly before his death. Walsh announced last November that he had leukemia and that the disease had been diagnosed in 2004. He broke ground with some of his great offensive game plans with players like Joe Montana, Jerry Rice, Roger Craig and others. He was behind a game plan that won three Super Bowls for the 49’ers in the 1980’s. COACH: Three Super Bowl titles with San Francisco (1982, 1985, 1989); 6 NFC West division titles; 102-63-1 overall in 10 NFL seasons; 17-7 at Stanford from 1977-78, then 17-17-1 there from 1992-94. Also assistant coach with Oakland (1966), Cincinnati (1968-75) and San Diego (1976). Mentored many NFL coaches and assistants. FAMILY: Wife, Geri; two children, Craig and Elizabeth. Son Steve, died of leukemia at age 46 in 2002. HONORS: NFL coach of the year 1981; NFC coach of the year 1984; NFL 1980’s All-Decade team. Named 49ers general manager in 1982 and president in 1985, then took both positions again from 1999-2001. Elected to the Pro Football Hall of Fame in 1993, as well as the Bay Area Hall of Fame and Stanford Athletic Hall of Fame. 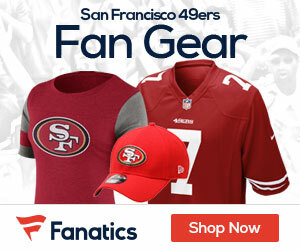 Be the first to comment on "Former 49’ers Coach Walsh Dies at 75"